Do you feel discomfort while sitting at your desk? AllSteel has provided an interactive tool to identify common symptoms in the office environment and proper adjustments to help correct them. 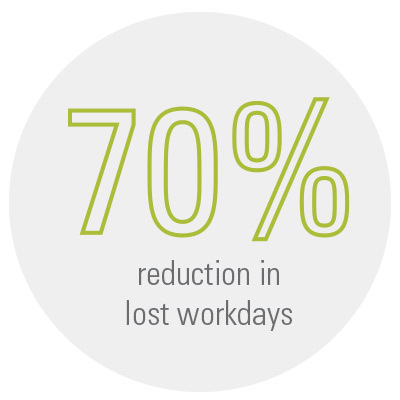 Demby outlined case studies that demonstrate positive ROI, such as Blue Cross Blue Shield, which implemented a comprehensive ergonomics program and saw a 70% reduction in lost workdays and 89% decline in workers’ compensation costs.